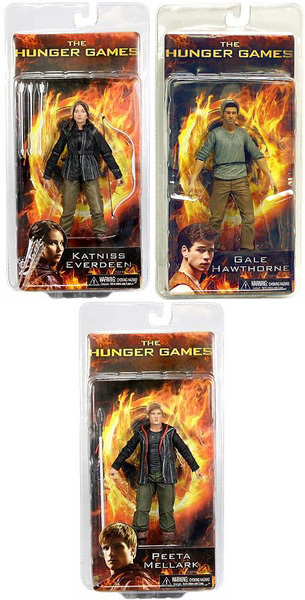 The New York Times-bestselling Hunger Games novels by Suzanne Collins become one of 2012 most anticipated movies! Rebel against the Capitol with these highly detailed poseable action figures of Katniss, Peeta, and Gale. Each figure stands roughly 6-inch tall and comes with their own character specific accessories. Clamshell packaging.